Our First Wednesday Wellness Session! The Mentor Ridge team welcomed Anne Ondrey from The Yoga Path to attend our first Wellness Wednesday session! 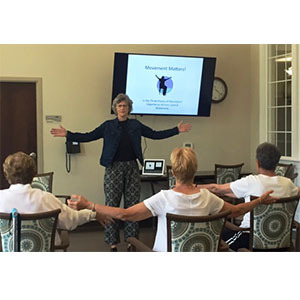 Anne discussed the therapeutic benefits of yoga, meditation & fascia stretch. We enjoyed gentle movement, fellowship and a tasty lunch.